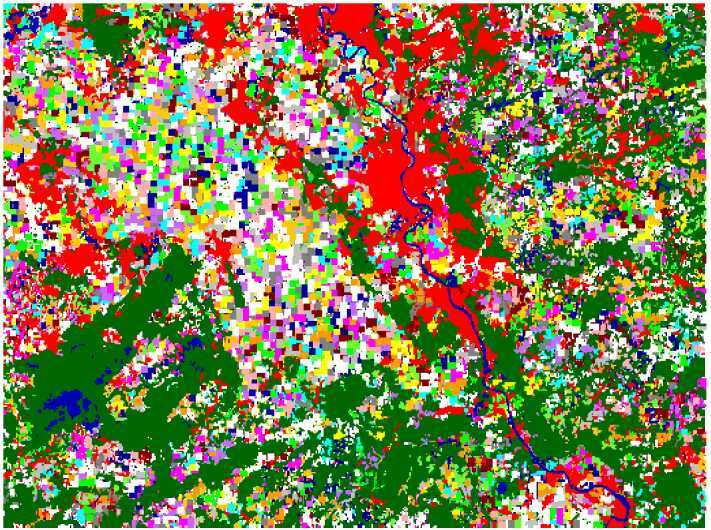 ABMSim is a research activity to analyze farm structural change in a spatial explicit setting. It combines FARMDyn, a detailed single farm model based on a meta-modeling approach with an Agent Based Model (ABM) which covers both farmers and potentially dairies. ABMSIM generates a population of farmers differentiated by farm specialization and size based on census data a comune level which can compete in land-markets, in markets for manure rights and for milk delivery rights. The resarch activity is receiving since November 2014 funds from the German Science foundation in the context of the project Understanding spatial interactions and structural change in the dairy production chain and is used in the project "Modeling structural change and agricultural nutrient flows across scales in regions of North Rhine-Westphalia", 2016-2019, financed by MKULNV (Ministry for environment and agriculture, state of North Rhine-Westphalia). Seidel, C., Britz, W. (2016): Agent-Based Modeling of Structural Change in Agriculture: Does the Plot Auction Matter?, poster presented at the 56th Annual Conference of the German Association of Agricultural Economists (GEWISOLA), Bonn, 28-30 September 2016.